Summer means many things: vacation, lazy days by the beach, cook-outs, and the smell of freshly mowed lawns. Or it means yet another NTC rotation, another deployment, a PCS move, or other less-fun Army experiences. Whether you’re burying your toes in the sand on the beach or trying to get the sand out of your lungs in Kuwait, you’re probably going to want something to read to pass the time. Vacations and deployments are usually where I do most of my reading, although that’s pretty much where the similarities end. Because this week encompasses all kinds of military and patriotic anniversaries, such as Independence Day, Gettysburg, and Vicksburg, my reading list matches the tenor of the times. In other words, it is all history, all the time. Some are new reads that have captivated my interest while others are old favorites that I often revisit. I hope that they provide some interest to you this summer, whether you are dozing in a hammock or sneezing dust at Fort Irwin. There are hundreds – maybe even thousands – of works on Gettysburg. It may be the most written about battle in history. But out of all the works, one in particular stands out in my mind. It is the account of Major Frank Haskell, who was serving on the staff of Major General John Gibbon, then a division commander in the Army of the Potomac. It was upon Gibbon’s division that the stroke of Pickett’s Charge fell on July 3, 1863. So Haskell was not only present for this engagement but fully aware of all activities surrounding it. Haskell himself helped lead a counter-attack that sealed the break in the Union line and ended Pickett’s Charge. But while the content of this work is fascinating, it is Haskell’s prose that sets his work apart. He writes in narrative form with almost lyrical descriptions of the movements of the armies, the weather, the scenery, the sounds of battle, and the actions around him. It’s his little things, like a casual description of a lunch of tough chicken and boiled potatoes which features half the brass of the Army of the Potomac stopping by. 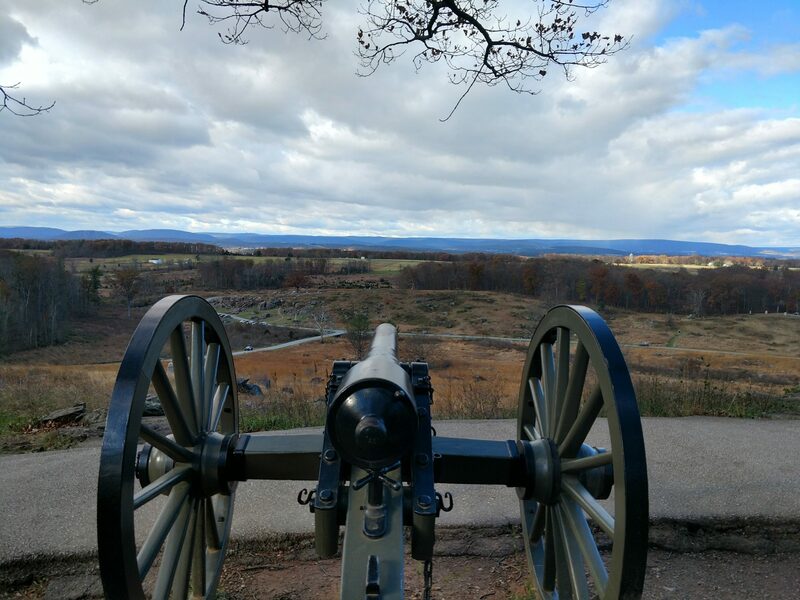 Or his soul-stirring description of the bombardment prior to Pickett’s Charge, watching the Union gunners give back “an iron greeting to the rebellion, the compliments of the wrathful Republic.” It is this writing that lifts what might be a common battle narrative to something nearing a Homeric epic. At under 100 pages, it is a quick and enjoyable read. Beyond just their stories, Rubin also manages to capture a lost feeling of the war itself – lost because we in America tend to overlook WWI in favor of WWII. Rubin is able to bring us back in touch with a war we’ve forgotten and helps us recall why we should remember it in the first place. Because we are in the centennial of the First World War, this book has to be on my reading list. Written in the 1970’s, Berry had the advantage of many living World War I veterans, and he took it. His interviews – reprinted in the vernacular voice of the veterans – provide some of the best primary source material for understanding WWI veterans. Berry interviews everyone from U.S. General Mark Clarke down to enlisted Soldiers who had served in the National Guard. Each of their stories provides a small window into the massive effort that the U.S. expended for World War I. Going with the same theme as the “in their own voices” trend I had for World War I, this little work is also written by a veteran. Samuel Eliot Morison spent his time in World War II in the Navy, but don’t let that fool you: he’s an incredibly astute strategist (cue the angry Navy guys writing furious missives, putting them in bottles, addressing them to me, and throwing them in the ocean). Morison writes about the delicate alliance between the U.S. and Great Britain during WWII. If you’re like me, you’ll finish this quick read wondering how in the hell the alliance even managed to last through the war at all. Morison goes into great depth, examining both theaters of operation in the war and discussing the factors that governed each. And he covers topics that one would not usually think about. Things as minute as landing craft production rates, for example, decided who would land what troops where and at what point in time. And his personal anecdotes are just too fun, such as George C. Marshall losing his patience on Winston Churchill. I devoured this book in a couple of sittings, so you really have no excuse not to read it. I don’t really know where to start with this one, because it is both too monumental and has too much detail to fully describe. It’s kind of like looking at Notre Dame cathedral in Paris; from a distance you’re like, “Whoa” and once you get up close you’re like, “WHOA.” I know, my eloquence knows no bounds. For someone who has really only dabbled in bits of WWII history, this is THE go-to source to get caught back up. The essays take you from the German invasion of Poland alllllll the way through the end of the war. They are not U.S. centric and they manage to cover a multitude of perspectives. Oh, and did I mention the all-star cast? They had me at John Keegan. But really, the most fascinating bits are from some of the lesser known authors, whose detailed writing make old stories new again. This work is massive, clocking in at over 600 pages, but is easily digestible in chunks. I highly recommend it, both for students of the Second World War as well as novices. That pretty much concludes my summer reading list. I’ve been loath to put one together, since most of my reading of late has consisted of incredibly dry primary sources or just re-reads of all of Terry Pratchett’s novels. This year has forced me back into reading; to save my brain cells from the news cycle, if nothing else. About the Author: Angry Staff Officer is an Army officer who is adrift in a sea of doctrine and staff operations and uses writing as a means to retain his sanity. He also collaborates on a podcast with Adin Dobkin entitled War Stories, which examines key moments in the history of warfare. I’d add two more just to complete the sweep. First, ‘Unit Pride’, probably the very best look at Korea from the perspective of a dumb eleven bravo who had no idea what was going on. The very casual murderous brutality (there is a scene where they kill the prisoners they are transporting so they can have the afternoon off) to the incredible life story of Billy Dickson, including his time in prison after the war for armed robbery, this is some righteously gripping stuff. I second Close Quarters, another classic Nam novel is Chickenhawk, the great Huey pilot’s story. OIF/OEF two come to mind, Wynne’s War by Aaron Gwyn, about an SF team and a horse wrangler in Afghanistan. And Ross Ritchell’s The Knife, about a SOF team, mostly in Afghanistan as well, is amazing. Sitting more to the top of the list chronologically – ‘Catastrophe’, by Max Hastings. One of the truly definitive looks at Europe’s slide into war in 1914, with an excellent examination of the raison d’etre for war, and the opening campaigns – including the oft overlooked French offensives in the south of France. Geoffrey Perrett’s incomparable There’s A War To Be Won. It’s the story of the US Army in World War 2. He covers everything…interwar years and officer development, mobilization, expansion, doctrine, Infantry, Armor, Artillery, Campaigns, Logistics. It’s the story of GI Joe. All of it in a single, concise, readable volume…with maps!!! And as always, Rick Atkinson’s Liberation Trilogy is a great series to get the story of the Army in the Med & ETO.